Milledgeville makes a great day-trip destination. Here is an agenda for two for under $50! Home to Georgia’s Capitol during the American Civil War, Milledgeville’s history is rich and diverse. 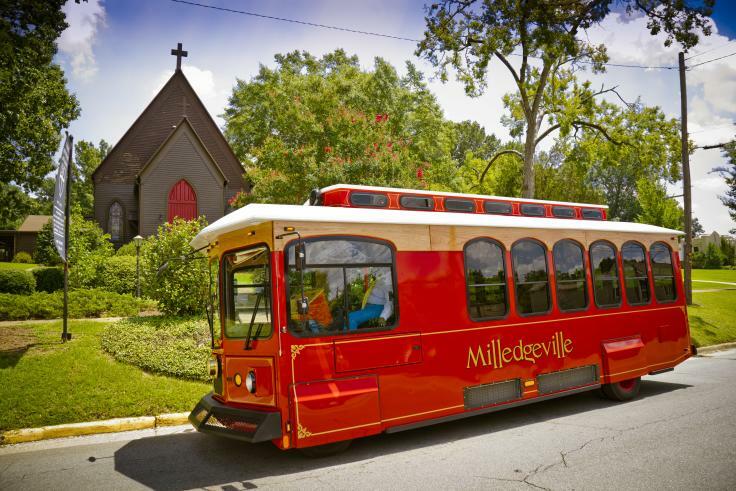 Fans of Georgia history and antebellum architecture will be at home in this charming destination where the local Milledgeville Trolley Tour treats visitors to an up-close encounter with Georgia’s first lady, Milledgeville. Need a little jump start before the 10 am trolley tour? 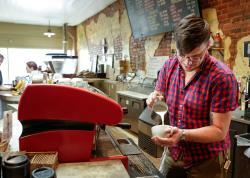 We recommend checking out the fresh roasted coffee at local favorite Blackbird Coffee. They have a variety of blends and syrups guaranteed to help you get your caffeine fix! Following the Milledgeville Trolley Tour, stroll the shops and boutiques that helped name Milledgeville a 2015 Great American Main Street! 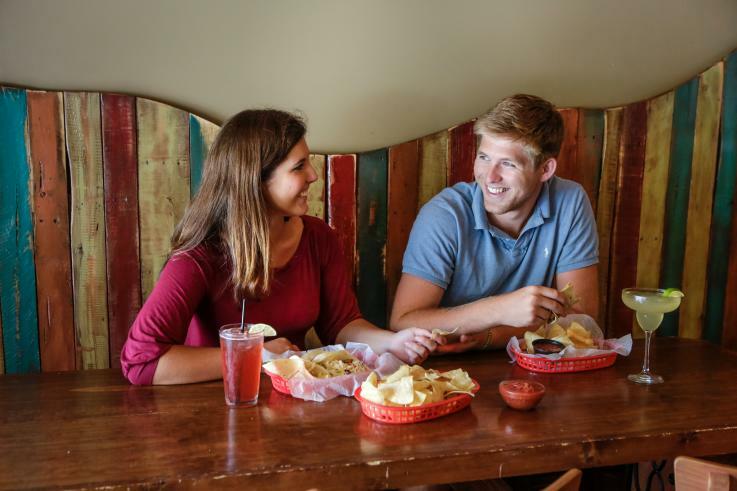 Lunch at Gringos for a quick bite and a fresh spin on Mexican cuisine. We tried the Fresh House Salsa Trio and shared six specialty tacos including BBQ pork, grilled chicken, philly, lime shrimp, buffalo chicken and short rib. Be sure to grab your sweet treat for the afternoon at downtown’s family-owned bakery Ryals! 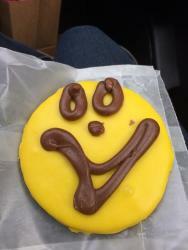 The smiley face cookie is a local celebrity. Looking to walk off those sweet treat calories before the ride home? 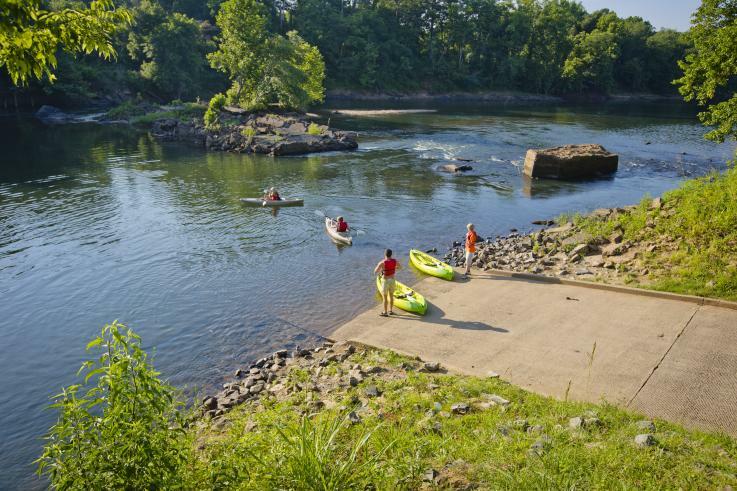 Just a couple of blocks from downtown Milledgeville, the Oconee River Greenway is a relaxing outlet to reconnect with nature and enjoy the beauty of the Oconee River. Visitors are invited to cast a line, put in a kayak, swim the shores or just take a leisurely stroll along the tree lined paths. Worth the Splurge: Ramp up the fun and enjoy an afternoon amid the great outdoors at the Oconee River Greenway with a kayak rental at Oconee Outfitters, intimate dinner for two at Aubri Lane’s (Check out the calamari appetizer - named by Georgia Tourism as one of the Top 100 Plates Locals Love) and an overnight at the beautifully updated Antebellum Inn.